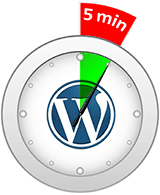 WordPress 404 Page Setup – Do You Have A Few Minutes? Most WordPress themes include a 404.php file. If your does not it’s likely that adding a custom 404.php file will simply work out-of-the-box. Below is my recommended coding for your 404.php file.